"The Future Is In Our Hands!" 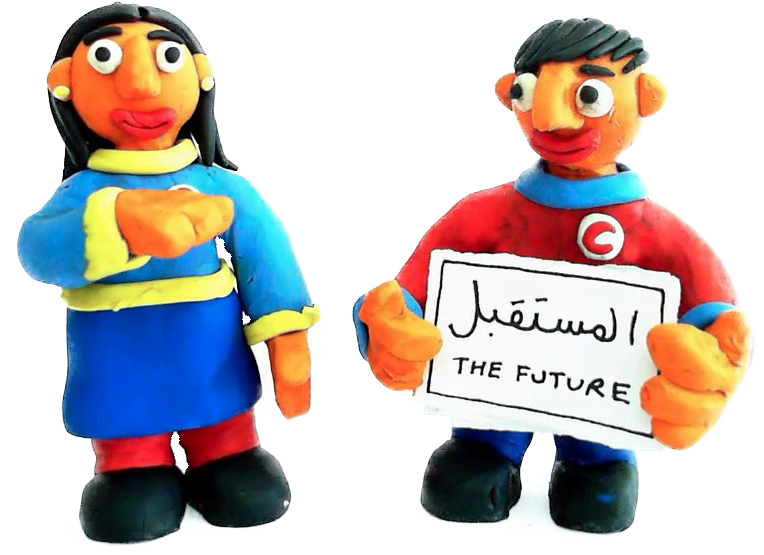 The Deaf Animation Team is a group of young deaf adults who graduated from the Palestine Red Crescent Society's Centre for Total Communication School at Al Bireh in Palestine. 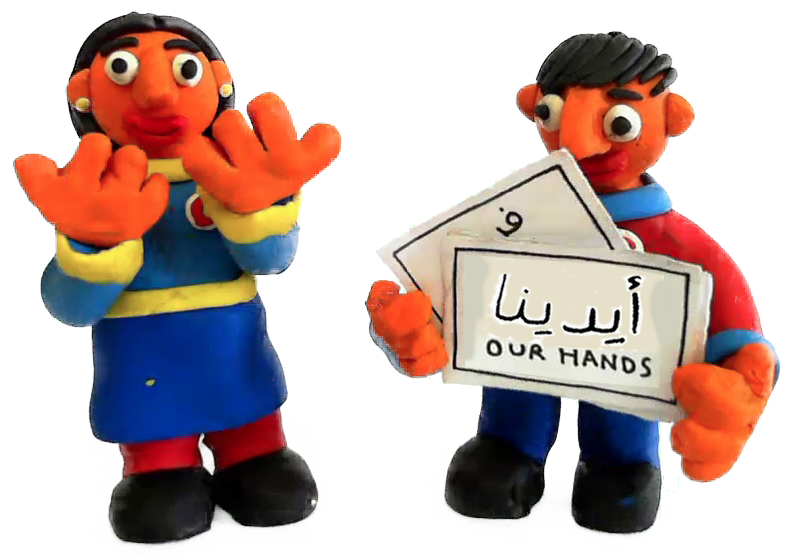 For the past three years, the Deaf Animation Team members have taken part in a training programme initiated and supported by the British Council. As part of their training, they learn to produce animations and to conduct animation workshops themselves, for deaf as well as hearing groups in schools, youth clubs, libraries and summer camps. The practice of traditional stop-motion animation is a valuable activity for everyone. It is accessible and popular with people of all ages and cultural backgrounds. As a combination of art, craft and technology, it opens up new creative horizons, instills expressive confidence, builds visual literacy, social competence and media sovereignty: The practival animator generates media content - no matter how small or simple that content may be, he or she is no longer a passive consumer of media produced by others but an independent participant of media production. For the deaf community, animation offers all of this, with one crucial addition: It may well be that sign languages are the true mother tongues of claymation characters. Equipped with the prerequisite technical and aesthetic skills, deaf people can create films that tell stories using their own languages, rather than relying exclusively on substitutes for oral speech such as subtitles, or resorting to wordless narratives. In doing so, they not only serve their own needs, but can make a unique contribution to the art of animation as a whole. Experimenting with cut-out animation and simple drawn backgrounds, the Deaf Animation Team experimented with a concept idea for a series of short animations. 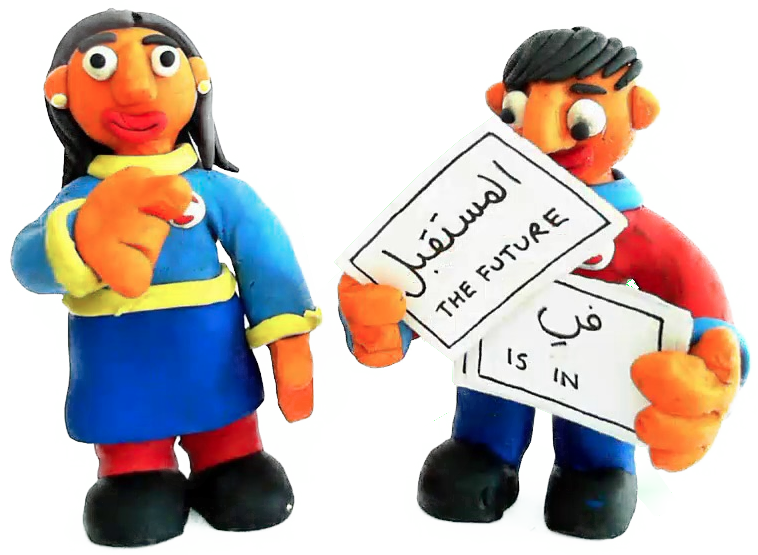 On the occasion of the school graduation ceremony in June 2016, the Deaf Animation Team presented examples of their work from the past year to an audience of 500 students, teachers and family.